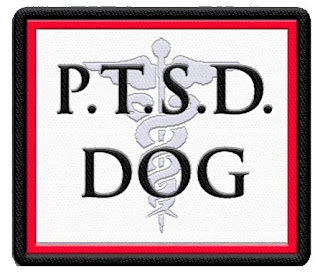 Veterans returning from conflict can have a wide variety of physical, mental, and emotional needs that service dogs are trained to help mitigate. Common physical challenges include hearing loss, blindness, trouble with balance, missing limbs, and use of a wheelchair or other mobility device. Mental and emotional health issues include anger and irritability, anxiety ( especially in public places ), trouble sleeping, depression, and extreme startle response to sudden noise or movement. Service dogs can be trained to retrieve items for the veteran, turn lights on and off, alert the veteran to a ringing phone or doorbell, act as a platform for balance, and walk beside a wheelchair. Dogs can also be taught to provide a barrier between the veteran and anyone who approaches (to ensure a comfortable physical space) and check around corners and assure the veteran that the space is “clear”. 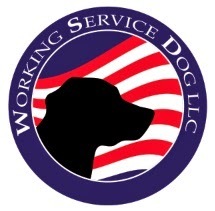 The combination of physical and mental/emotional support that the dog provides 24 hours a day can help the veteran return to work, school, family, and public life. The presence of a dog with the veteran is often helpful in encouraging conversation and social contact and reducing isolation. 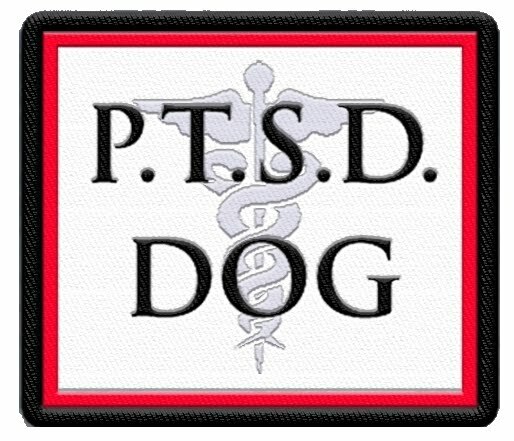 Workingservicedog.com offers a service dog patch specifically for the service dog working to alleviate symptoms of PTSD. Several training schools exist specifically for training service dogs to assist veterans, links to some are below.